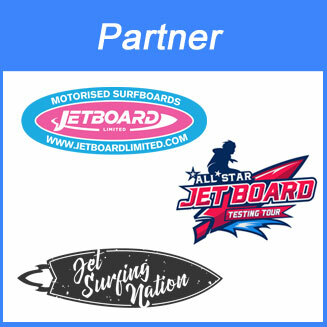 Wayne Brooks from Jetboard Limited is an jetboard industry expert and organiser of the Allstar Jetboard Tour powered by E-Surfer, Jetsurfingnation and Motosurfnation. Time to interview Wayne to learn more about his motivations and plans for the future. He has 2 decades of Jetboard experience. Wayne, when you were a teenager, which were your most favourite sports you did yourself? My two main and favourites sports as a teenage were riding motorbikes and surfing. My first motorbike was bought in pieces and I had to hide it away because I was not allowed to have one. I slowly and secretly managed to put it together with help from friends and I got it running. I remember sneaking the bike out of the garden, starting it up and flying off down the main road with no license, no crash helmet, no idea how to ride it and only wearing a pair of shorts with no shirt and no shoes. I felt like king of the road for about two minutes and then the throttle stuck while at full speed, breaks failed, clutch cable snapped and I managed to not only hit the one and only tree on the side of the road but I actually rode up the tree and pulled off my first backflip on a motorbike. I luckily got away with only losing a lot of skin and the only thing that was really hurt was my pride. I collected all the pieces of my bike and took them back to my hiding place. I tried telling my dad that I slipped while running into the swimming pool but by then the whole neighbourhood knew what happened so I got caught out and my motorbike days were put on hold until I proved I could be trusted again. I don’t think the trust moment ever came and I ended up fixing the bike and getting it back on the road a few months later. I always wanted to surf but I never had a surfboard and I lived a bit far away from the beach. My first surfing experience was when a friend and myself took his dads huge big classic longboard one day without having permission. trying to learn to surf and before we knew it we were surfing in the dark. the same thing each day for a week until it was home safe and sound. My second surfing experience was when I manage to offend the biggest bully on the beach and instead of taking a beating from him I took his surfboard and paddled out and wouldn’t come back to the shore. After a couple of hours of getting bashed about in large surf and just trying to stay alive I got washed up on the beach but the big beach bully was so entertained by me spending two hours trying not to drown that he decided to spare me and instead he ended up teaching me to surf. This was the beginning of one of the best things that ever happened to me. 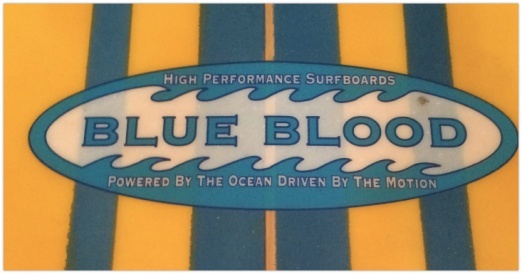 Went on to surf the rest of my life and I had my own label called Blue Blood where myself and friends shaped many surfboards. We had an international Surfing business where we had surfers come from all over the world to stay with us in South Africa and they learnt to shape their own boards and got to surf some beautiful secret spots with us. 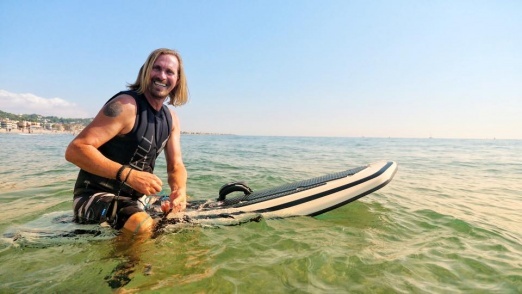 When did you get involved in motorised surfboards? 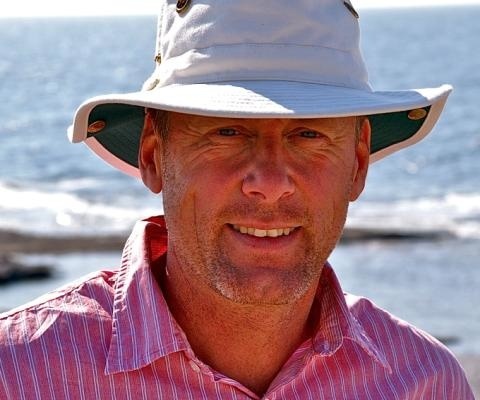 I started getting involved in motorised surfboards about 20 years ago. Long before any of the new boards came out I was already a fan of all the old classic boards and over the years together with family and friends we manage to buy, repair and rebuild many old classic jetboards. I have collected owned and had virtually every single jetboard that has ever existed. I have had to slow down a bit on the old boards as they end up costing a lot of money and I’m running out of space. Most my family and friends that have space have at least one old board of mine stored at their place. So if you know anyone thats selling an old board then let me know. If you know anyone who has spare storage space then let me know that too please. The first time I saw a Jetsurf I could not believe my eyes. I had to have one. 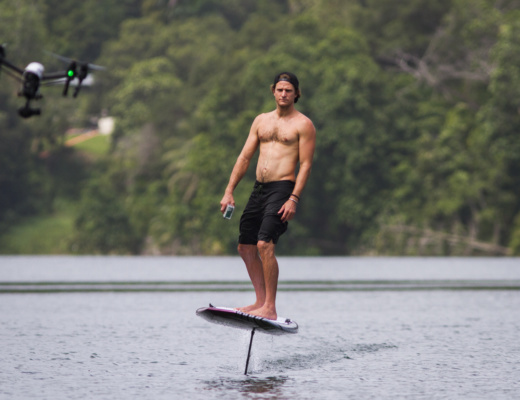 I couldn’t believe that a jetboard existed that one person could carry. Normally we would have three or even four people carrying a jetboard. We were amongst the first people in the UK to get Jetsurf’s and although they were early models that required fixing nearly every time we road them we just couldn’t help but fall in love with the boards and the sport. All our family and friends started getting boards and because we were the pioneers and the main guys riding we naturally became the people everyone turned to for help. We started off as a jetboard club and we naturally evolved into a company called Jet Board Limited. 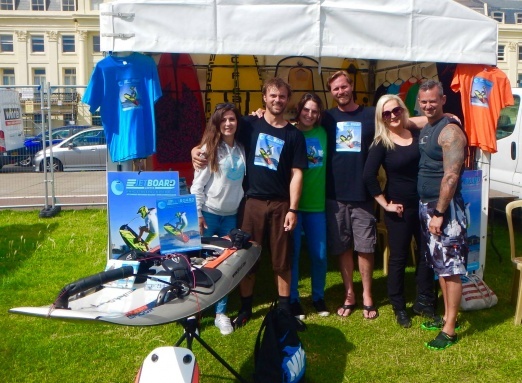 By 2014 jetboards were becoming a big part of our lives and we were getting involved with all the other jetboard brands. From 2014 onwards we made a point of keeping up to date and informed on who’s who in the industry and we started growing with the industry. We bought, tested, unfortunately broke, fixed and rode every board we could get our hands and not a board came out without us knowing and trying it. It had started and there was no turning back. 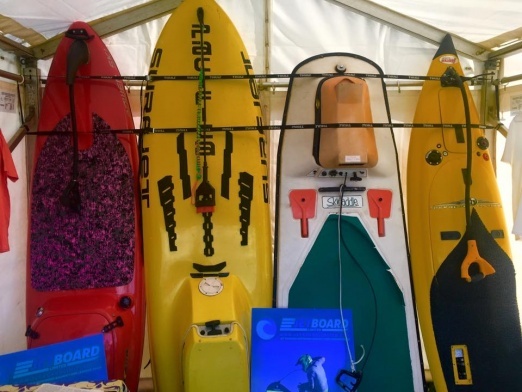 How did your first motorised surfboard look like? My first motorised surfboard looked like a small boat and the second looked like a huge yellow banana. The surf jet has a big box on the back where the engine is housed. These boards are quite heavy and some of them even come with their own trailers for towing. I still have quite a few Surf Jets in my collection and they are quite fast and powerful for their time. The next board was the powerski which is pretty powerful and quite a serious piece of equipment. Had powerski continued to evolve and make progress this would have been the jetboard of the future. Powerski really started off on the right track but just didn’t take it to the next level. Unfortunately I think the cheap Chinese copy market help ruined things for both of these boards. Nobody could compete with the Chinese prices and the poor quality that the Chinese were selling pretty much destroyed the market. Not counting the old classics my first new board was a Jetsurf and it looked beautiful. I know the guy who has it and it still looks beautiful today. That first Jetsurf was a dream come true for me and nothing could have looked better. admiring it you would be shocked. 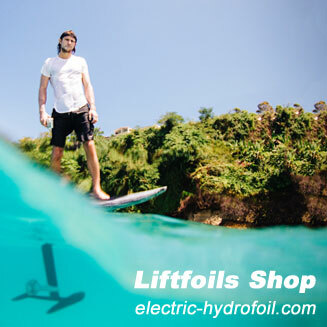 When did you ride your first electric surfboard and which one? I have ridden all the electric jetboards. 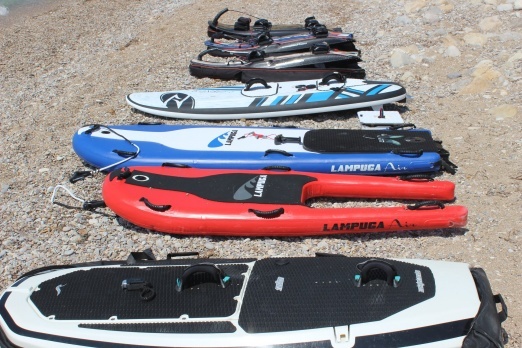 I think the first was the Lampuga Air, the second was Radinn, the third was the Onean Carver, the fourth was the Waterwolf, fifth was the EasySurf and then the sixth board was the showstopper and the board that is taking electric boards to a new level and its the ESURF. The ESURF has completely raised the bar and stolen the show. 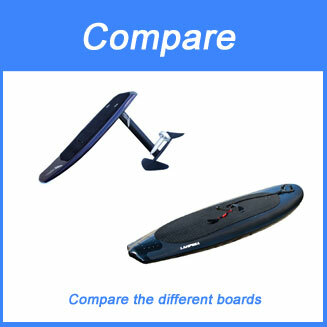 I think its fair to give every single electric jetboard manufacturer credit for their effort and achievement and I see great features and points in each and every jetboard that I have ridden. Its not an easy task building an electric jetboard and most are doing well at it but manufacturers need to keep moving forward and progressing. I don’t think anyone is in a position to say that they have a great board and are sticking with it. Each and every board needs improvement. In general electric jetboards still have quite a long way to go and no we cant just blame it on battery technology. Manufacturers can still improve a lot of other aspects of the boards like the jet pump/turbine for example that would help a great deal with performance. I dont’ think a single electric board out on the market other than the ESURF is actually operating with the right jet pump/turbine design. effort making their own products I don’t see things improving much. 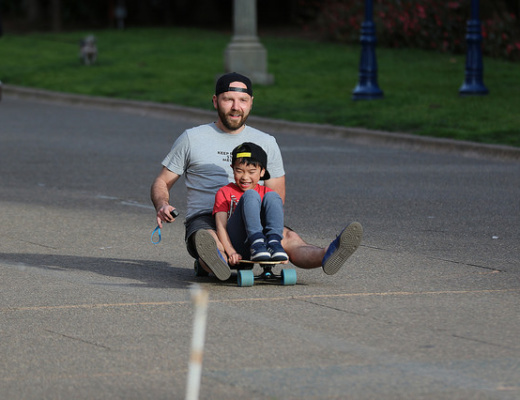 Everyone is building boards to go faster but they are getting bigger and heavier. This isn’t moving forward its moving backwards to the big, heavy boards I rode twenty years ago. These boards are more like small boats and although they are fast and powerful they are not easy to move around. 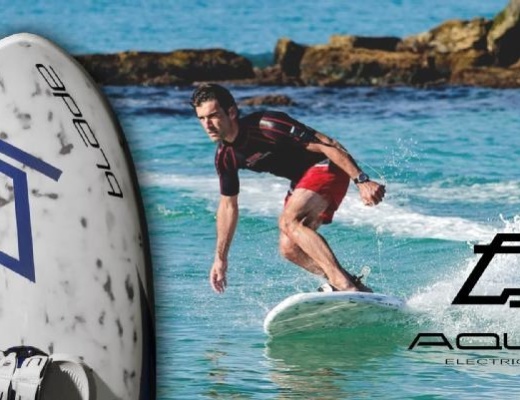 When did you decide to make motorised surfboards your business? I didn’t really realise what was happening and it was all a very natural progression. You could say it didn’t even happen on purpose. The need for my help, advice and services were in such high demand that I ended up spending more time helping riders and potential customers and less time on my original business. I put my original business second and found that I was putting the jetboards first. I obviously loved the motorised surfboard industry and this was where I wanted to be. It was a tough decision but I decided to walk away from an extremely lucrative and profitable business so that I could do what I loved. I can assure you that Jet Board Limited is a labour of love and by no means a get rich quick scheme. Its a lifestyle choice and I am doing what makes me happy. 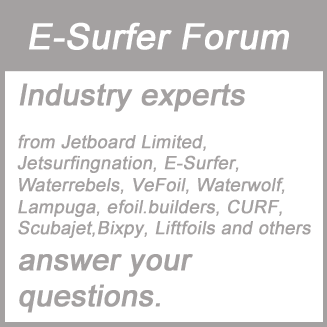 Which were / are the biggest challenges for Jetboard Limited? One of the biggest challenges is the financial side of things. We have spent a lot of of money buying boards that we knew were not worth the money we paid but we had to buy them in order to test, review and be able to know what we are talking about when helping riders and potential customers chose the right board. and community so we put a lot of time effort and money into going on tour, making videos, visiting factories, getting to know CEO’s and staff, keeping up to date with all industry news and organising events. All the knowledge and advice we have is also given and shared not only with the customers but we are busy working with manufacturers and helping them come up with better ideas, features and boards. We are definitely putting a lot more into the industry than we are taking out. People probably don’t realise it but the markup and margin for distributors like ourselves on jetboards is extremely low. I don’t actually know of any other business where you have to spend so much to make so little. Thats why I say you have to really love what you are doing to be doing this. So yes the biggest challenge is the extremely high cost of what needs to go into achieving the high expectations and challenges we have set for ourselves. Most of what we do requires a lot of time and money but a lot of it does not pay anything in return. Sure it will all pay one day but its along and hard road getting there. Which was your biggest success of Jetboard Limited so far? The biggest success is yet to come but I think so far we are extremely proud to have become authorities and industry influencers in the motorised surfboard industry. We owe a big part of this to our partner companies Jetsurfingnation, E-Surfer and Motosurfnation. 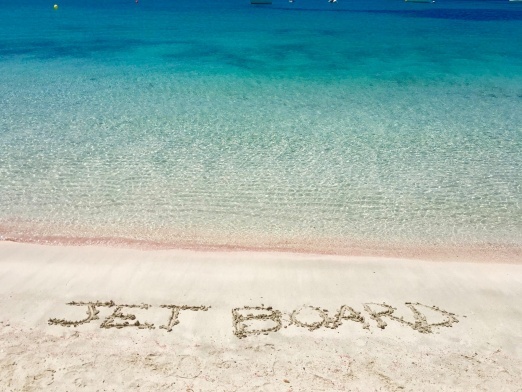 Our Jet Board Testing Tour is a huge success which will continue to run every year and this year we add a Jet Board Festival to our list of annual events. Our true success is messaged by the smiles we put on our customers faces. As long as we continue to be surrounded by happy customers we would consider ourselves to be successful. We are also quite proud of our growth in the industry. We stared out with Jet Board Limited and we have now added Jet Board England, Jet Board Germany, Jet Board Spain and Jet Board Barcelona. We have quite a few other European countries on trial and are also busy working on establishing Jet Board Australia, Jet Board Canada and Jet Board Brazil. We have an unbeatable and amazing team with a wealth of knowledge and experience that I have personally hand picked. I can confidently and proudly say that we are leaders in the industry and we have the best team available. How often are you riding the boards, Wayne Brooks? I try ride as often as possible and although I must admit Im not a huge fan of riding in winter I sure do make up for it in summer and I try ride most days in summer. We are the only company in the world that has all of the boards that are available on the market so we offer lessons on all of the jetboards but we also offer an all board testing day where we get all the jetboards in the water for you and I am known to still be riding after everyone has gone home as I believe its a sin to send back batteries that still have a charge in them and petrol tanks with fuel in them. Im also very fortunate to be in Spain where the water is beautiful and clean, the sand is hot and smooth and the sun just doesn’t seem to stop shinning so its hard not to ride in such a beautiful place. Having said this I have become a slave to the community we have created and you wont believe how much time it takes to maintain all of this. I still think I could and should spend more time in the water but I also enjoy getting others in the water. What are the plans for Jetboard Limited in the future? 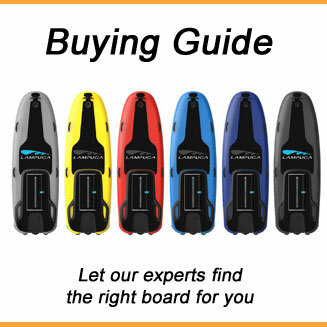 We plan to not only be the biggest but more importantly the best and most highly recommended jetboard distributors in the world. what we do best and all of our goals will be reached. motorised surfboard industry in the most positive way possible but our loyalty will always be to the riders and customers. together. Our plans are to have Jet Board teams, academies and shops in all strategic locations so that we are able to service and accommodate the masses. So to sum it up we just want to keep doing exactly what we already do but just on a larger scale. Wayne Brooks, anything else your would like to share with your fans? We have never seen ourselves as having fans as we are part of the community and we started off just like you. We appreciate and enjoy riding just like you. Sure we fix and sell a lot of boards but we are still just one of you. We are jet boarders providing a service for other jet boarders. It’s really important that all of us stay true to ourselves and to you. We know that most of you really enjoy and appreciate the time and effort we put into gaining the knowledge of the motorised surfboard industry and sharing it with you by means of videos and general advice. We want you to know that we really appreciate your support in choosing to buy your boards from Jet Board Limited and our partner companies. Although you wouldn’t get matched to the perfect board without us and you wouldn’t get the honest and unbiased advice without us we acknowledge and appreciate that we wouldn’t and couldn’t be here if it wasn’t for you. from jetboard riders, supporters and enthusiasts all over the world. The support you give us is amazing and we will continue to give back to you. So dont be shy. Reach out and talk to us. 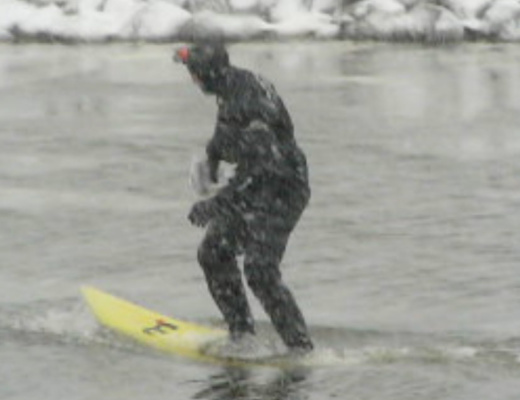 Lets see if we can get you on a board and in the water. 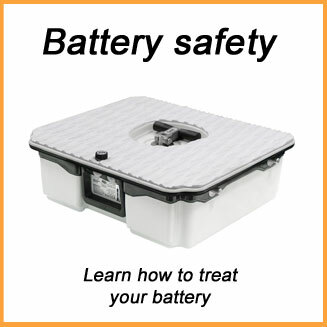 For more information check Wayne’s Jetboard Limited website.